Buy bulk and save some money. M14 Magazine 3 pack – Very high quality magazines, made in Italy and limited to 10 rounds per Canadian law. I comply with all CBSA regulations. M14 Magazine 3 pack are a custom import that I resell here at Magwedge. I do not manufacture these myself. However, I personally guarantee the quality. 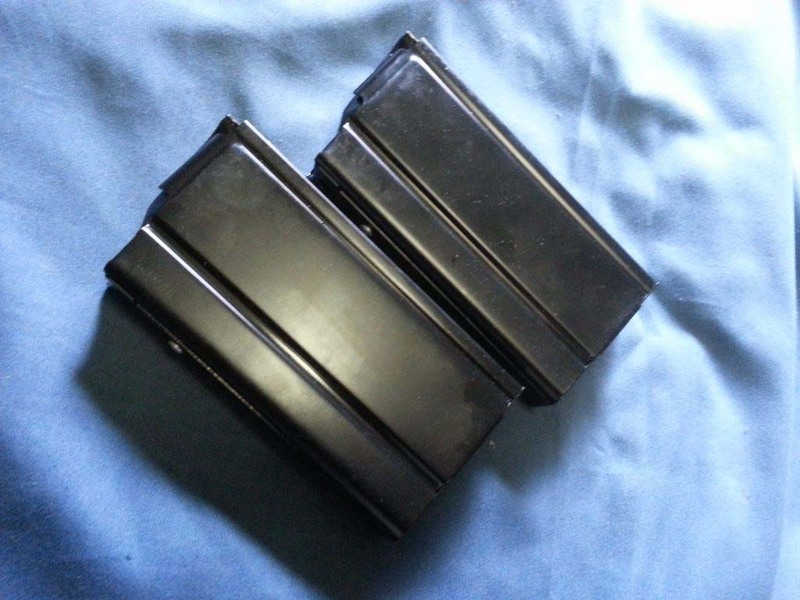 M14 Magazine 3 pack – Very high quality magazines, made in Italy. 20 round original capacity and pinned to 5, as per Canadian law. I make sure to comply with all CBSA regulations. M14 Magazines are a custom import that I resell here at Magwedge. I do not manufacture these myself. However, I personally guarantee the quality.